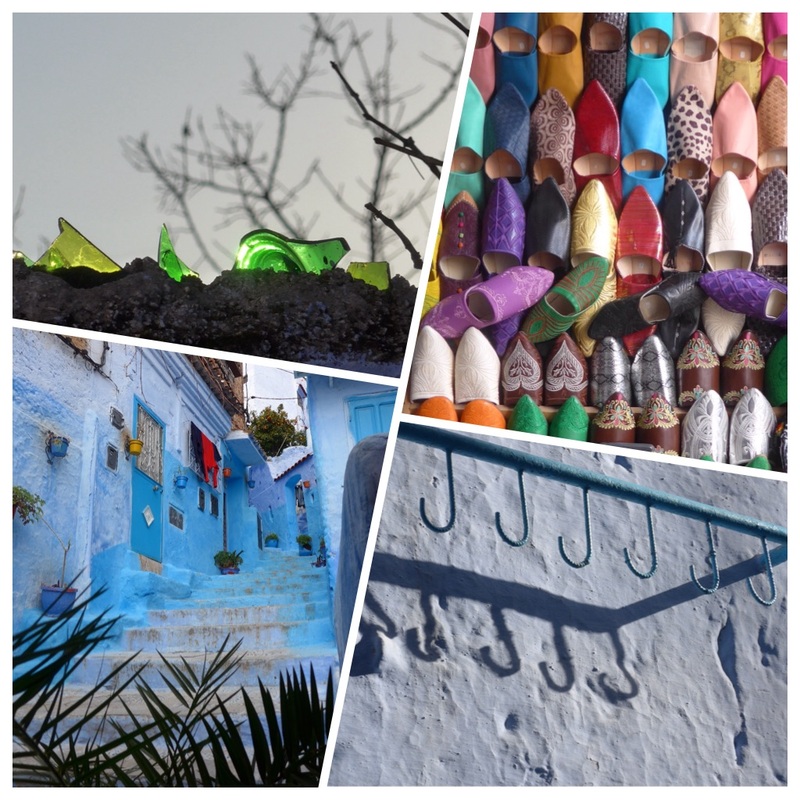 Having seen a ‘last minute’ holiday with a photography theme in Morocco advertised by a local travel agent at a very reasonable price, we decided to join the small group of spanish photography enthusiasts (including a professor of photography) for seven days at the beginning of February. Our good friends joined the party and we travelled together to Tarifa on Saturday to stay the night, ready for a morning ferry to Tangiers. 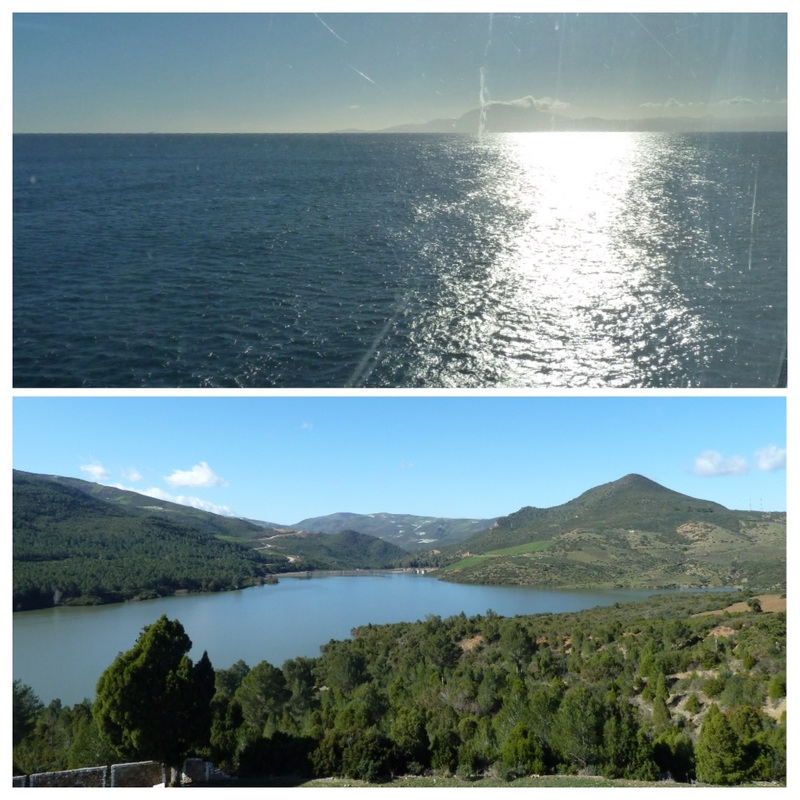 The weather had been stormy with heavy gusting winds for a few days and we heard that ferries hadn’t been operating from Tarifa on Saturday, so we hoped for the best for the following morning, which dawned bright and sunny, and thankfully very still. The wind had dropped completely and the sea looked calm. 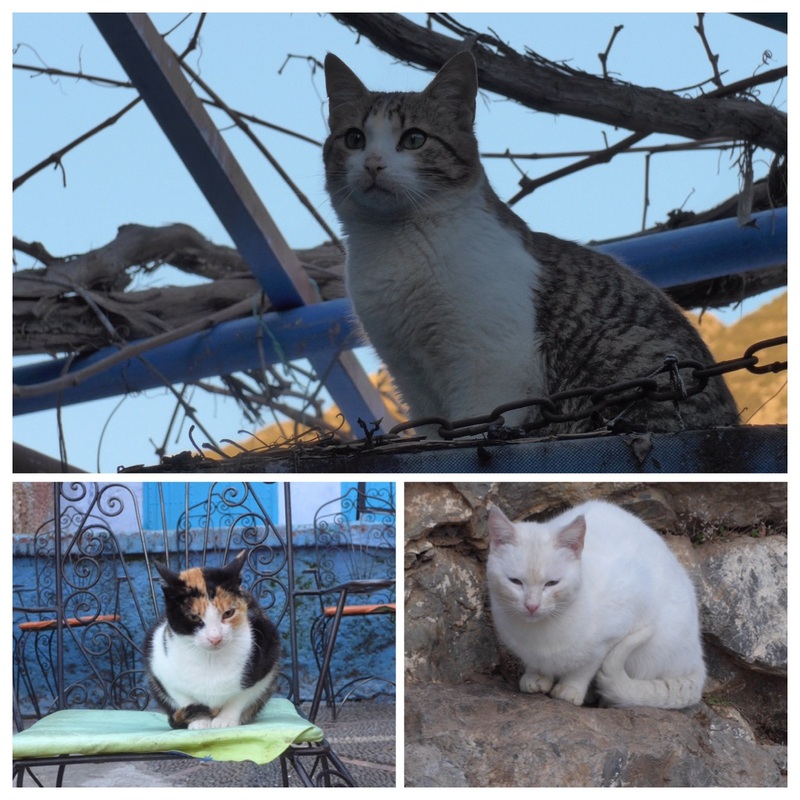 We met the other nine members of our group at the port and boarded the 10:00 am ferry and crossed close to the Straits of Gibraltar to North Africa. I have to say it was an absolute blessing to me that the stormy weather had subsided because I felt none too well with the deep swaying of the ferry on what appeared to be very still water. I was very quiet for the hour or so that we were on board and I was delighted when it was time to alight. We were smoothly and efficiently greeted by our driver who escorted us to our mini bus and transported us through a stunning, green, mountainous landscape to the charming town of Chefchauen, which is situated at more or less the same height as our home in Canillas de Albaida at around 650 metres. The thirteen of us (lucky for us on this occasion because the group of four men and nine women are a delightful mix of ages and personalities) dragged our cases through the main square – oh how I hate the sound of wheely cases being pulled over cobbles, so much so that I carried mine, but it made no difference with twelve others rattling along. Our hotel is delightful, conveniently tucked away in a shady corner just off the square, and we settled ourselves into our pretty (but rather chilly) room before reforming our group to take a stroll around the town. The other members of the group consist of Santos, our photography proffesor, and seven of his (female) students from various different classes, one of whom is the travel agent who organised the trip plus her husband. So most people had not previously met, with the exception of Santos, who knew everyone except us four. 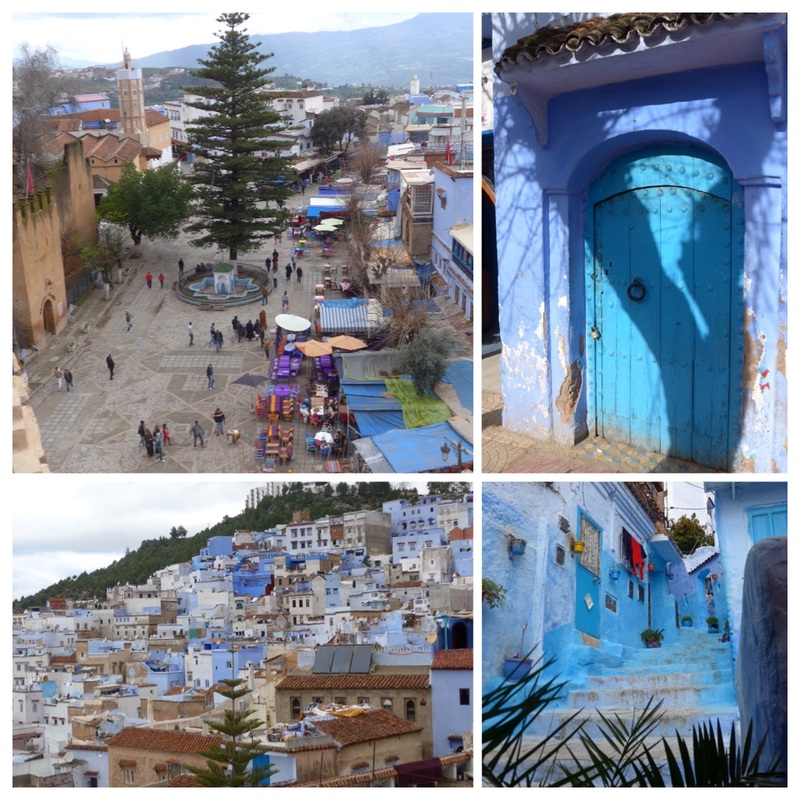 I have been delighted by the charm of this place, which rises steeply through narrow winding streets filled with colourful shops and stalls, with the backdrop of a soaring ridge of the Rif mountain range. 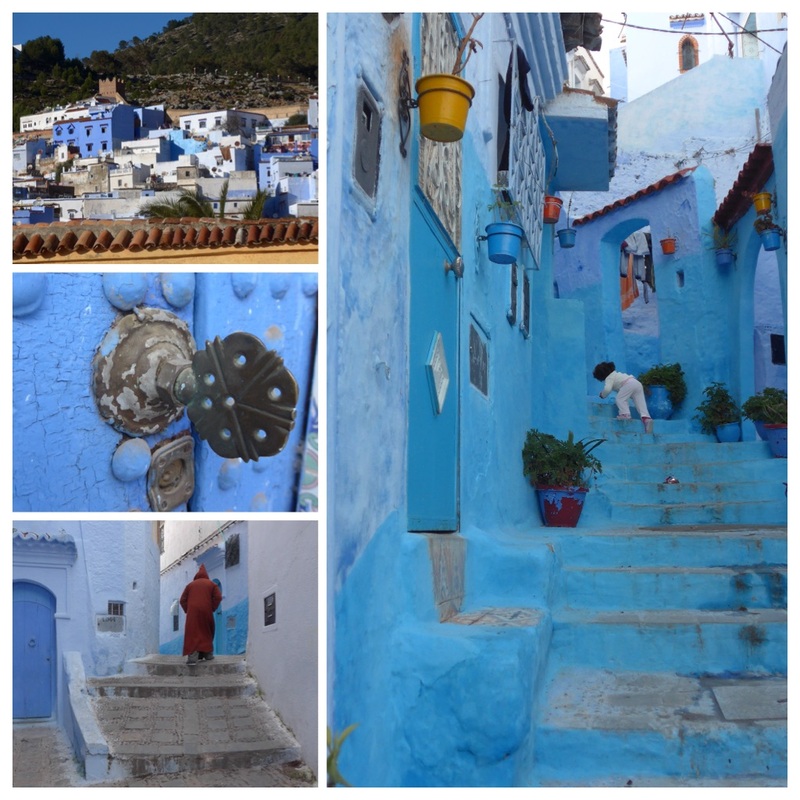 It is quite similar in many ways to our own villages, with the big difference that at home Cómpeta and neighbouring Canillas de Albaida are known as white villages, whereas Chefchauen is famous for its blue washed properties. Every colour of blue from powder to deep aqua marine and every shade in between. 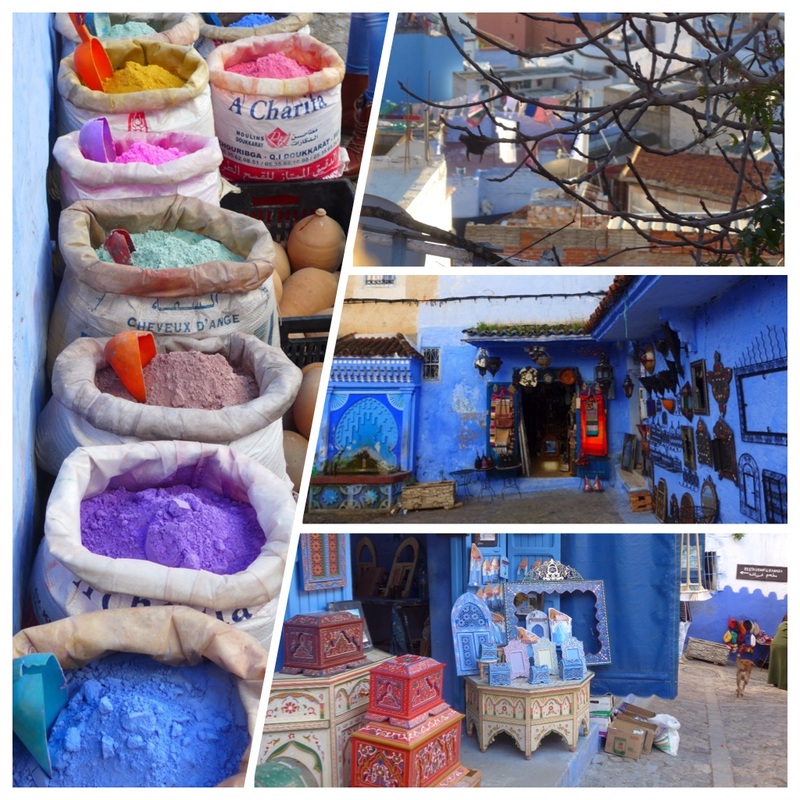 It is stunning – a delight to the senses (so long as you like blue) and around every corner there is something to please the eye. 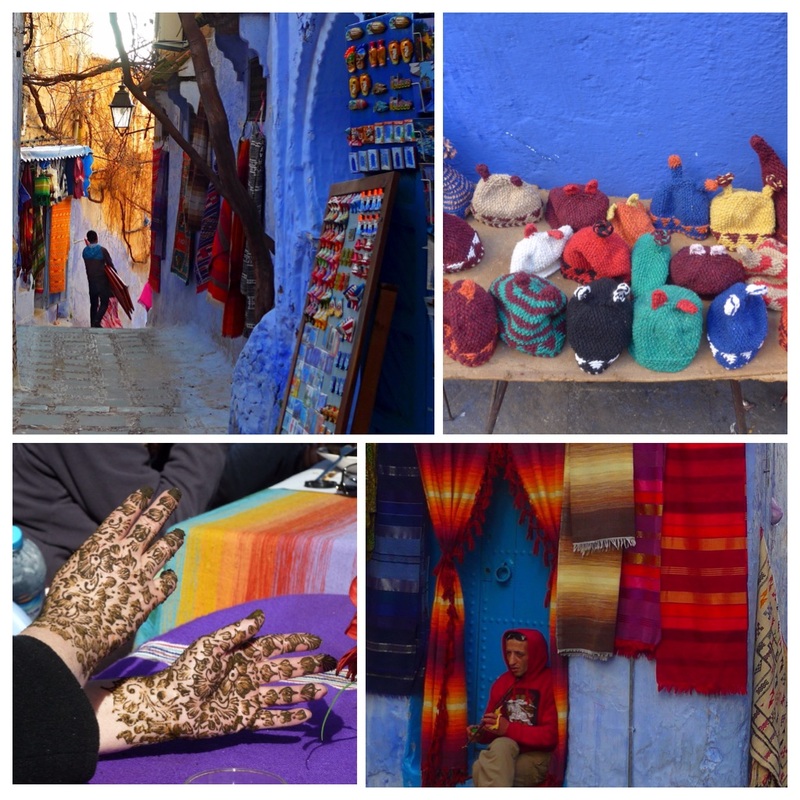 I have only been to Morocco once previously, to Marrakech, many years ago with my daughter. The experience could not have been more different. 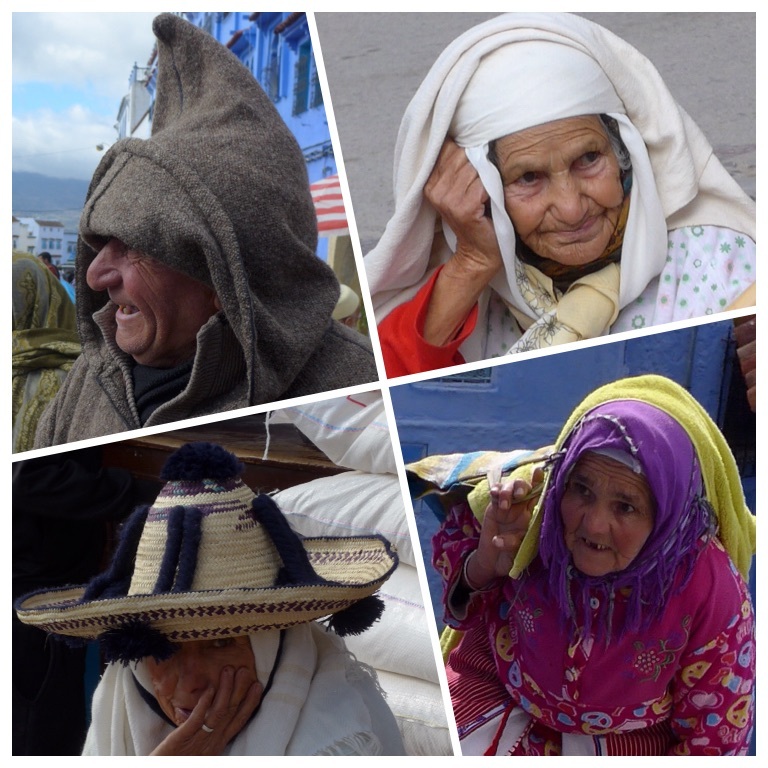 There I felt quite intimidated by the vendors in the souk pressing us to buy their goods, in fact almost everyone we met was pushing their goods or services upon us and it was all quite wearing. Whereas here in Chefchauen the traders couldn’t be more laid back, no pressure at all, and in contrast it is a very relaxing environment. The food has been excellent and very inexpensive and the atmosphere totally charming. We are here for one and two half days (two nights) and I have been making the most of every minute, soaking up the atmosphere and taking dozens of photos. The spanish ladies are all serious amateur photographers with impressive EOS cameras and imposing lenses, whereas my point and shoot seems very much the poor relation, particularly with its gaping hole where the casing buckled when I fell and smashed it a few months ago, which I have covered up with sticking plaster to keep the dust out. (It reminds me a bit of Jack Duckworth’s specs for those of you familiar with Coronation Street of old). But I have to say, I am really rather pleased with my selection of photographs, although it is actually quite difficult to take a bad photo in such idyllic surroundings. 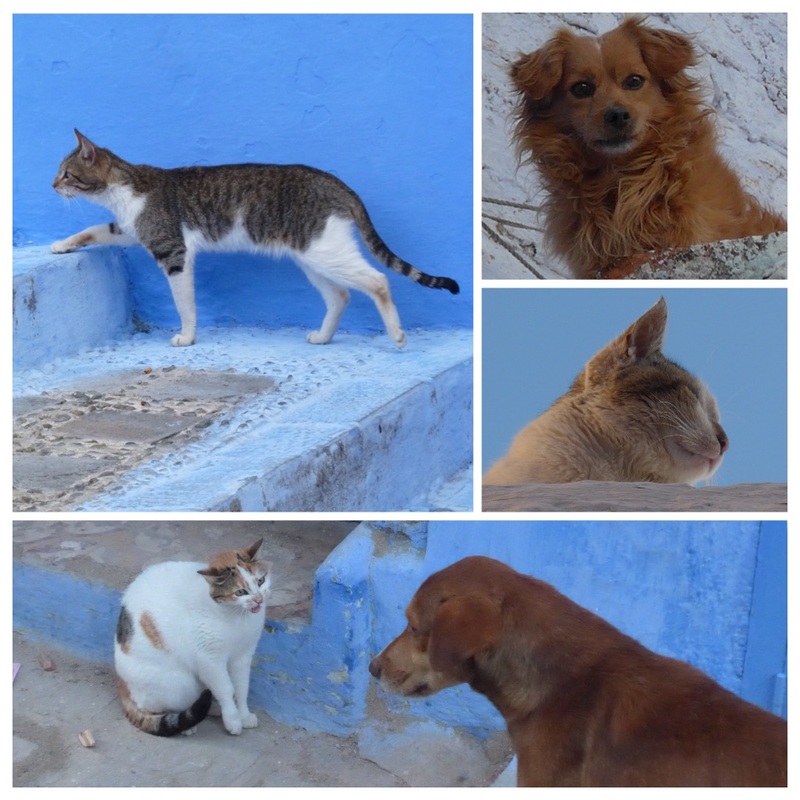 This entry was posted in A view of life, Expats in andalucia, Morocco and tagged Chefchauen, Morocco, photography, Rif mountains, Tarifa. Bookmark the permalink. 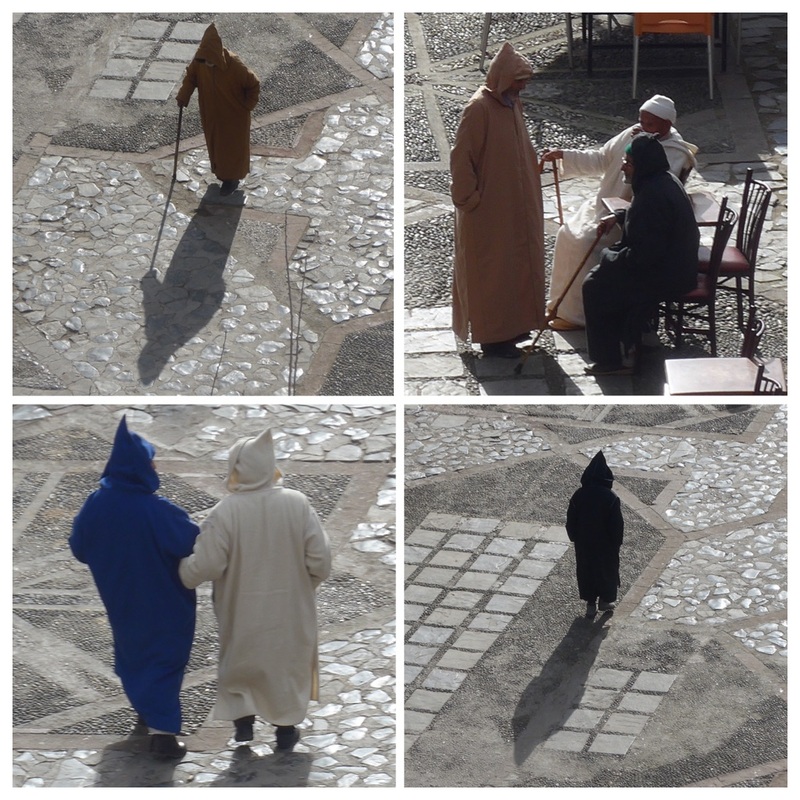 Lovely photographs and what a charming town. Its fabulous Jack – a beautiful, laid-back place to visit. Now in Tetuan and the sun is shining, but would rather still be in Chefchauen. I love your photos in all your posts. You do not need classes. Hope you enjoyed your trip. Thank you Conchy for your very kind words, Santos is very kind and supportive – i would love to know more about the technical side of photography, but I’m not sure if there is any room left in my small brain! Such wonderful colours —- great photos!! Maggie, Beautiful photos! Can you give us more information on the photography instructor/class. Is he local (Axarquia). Looking forward to reading about your next camino. Hi Lara, Santos gives various classes from Nerja to Málaga. I’m hoping to get a small group together for a photography tour in Málaga. I will post more info later. Thanks for your comment. Beautiful photo’s Maggie. (Who needs an EOS?) Chefchauen looks like a wonderful place. It’s beautiful – only problem is, how can the next couple if stops compare? Hey John, great to hear from you. Thanks for your kind words. 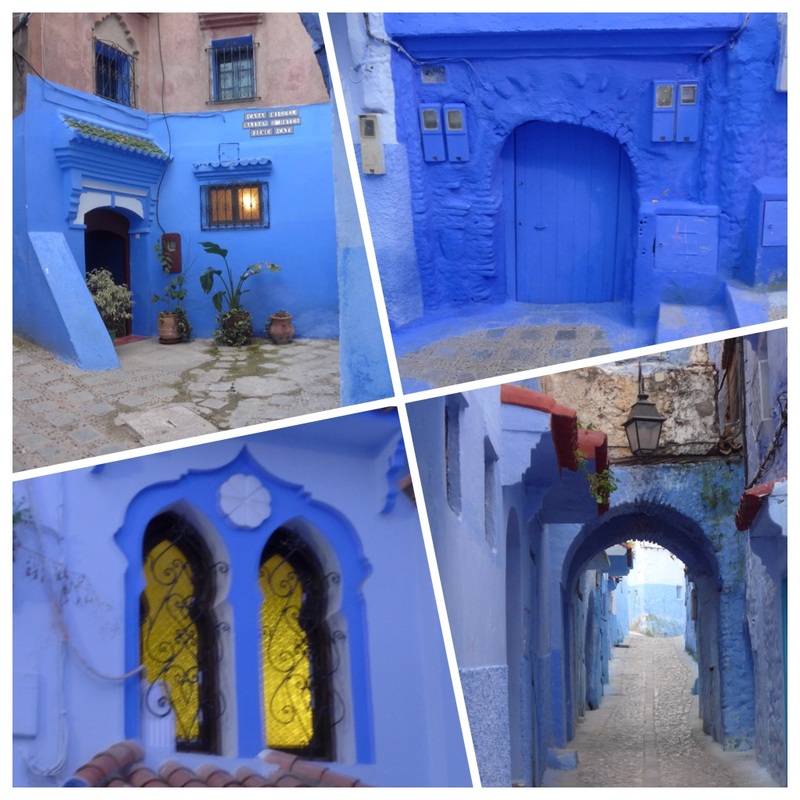 Thanks Tess – I didn’t tire of the blues – loved every shade – such a contrast to the city we’re in now! It doesn’t seem real–as in s.e.r.i.o.u.s and heavy more like whimsical– with a Greek flavor. I’m making this stuff up. You know that, right. I’ve never been to either of these places. 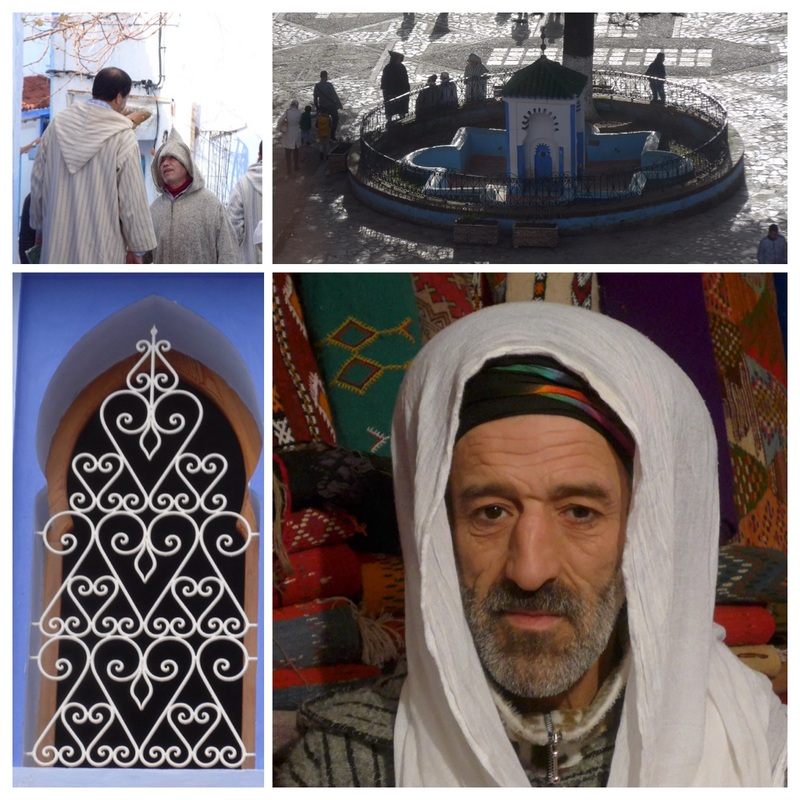 My family and I lived in Ifrane, Morocco in the mid1990’s and visited Chefchaoun. Your photos capture it so well and made me homesick. Lovely. 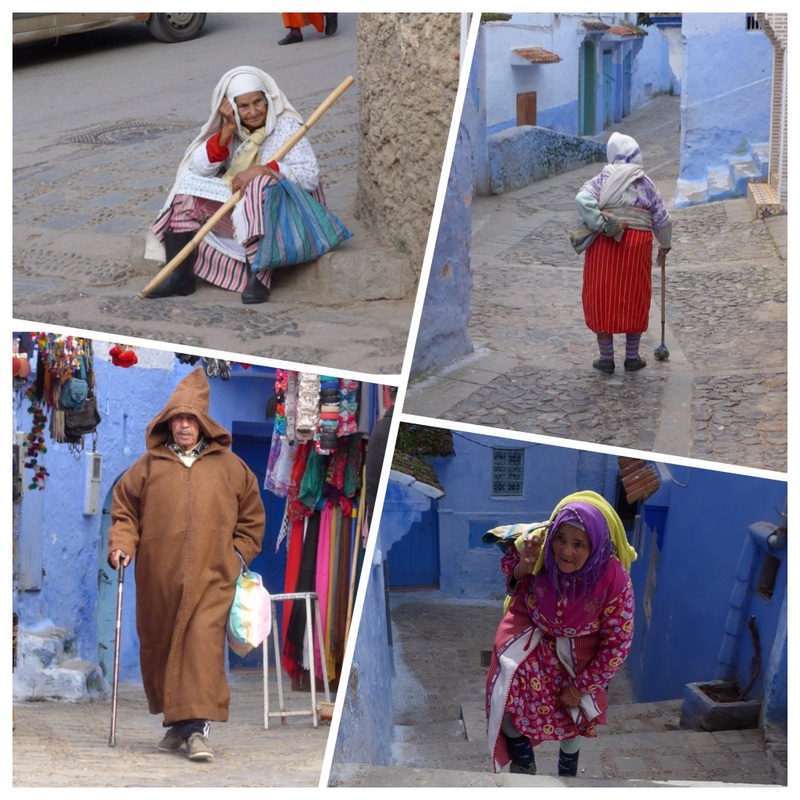 Where else did you travel in Maroc? Hi Marie, so sorry I didn’t respond sooner to your comment. As you can read in my next post I fell ill on our last day in Chefchauen and couldn’t really participate fully in the rest of the trip. 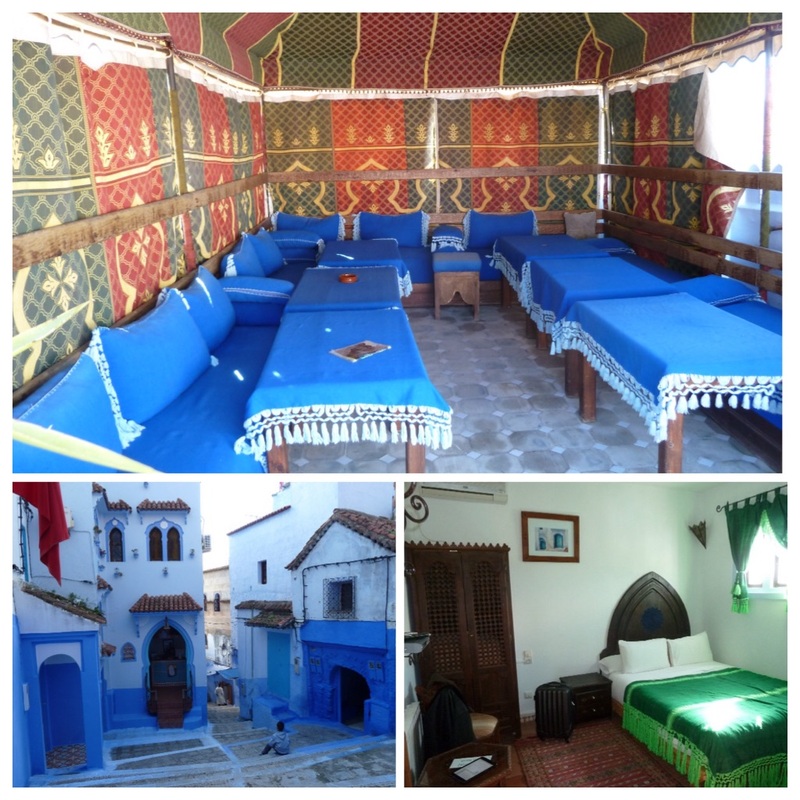 We went to Tetuan, Tangiers and Asilah, but mostly stayed in my hotel rooms. Chefchauen was most definitely the highlight, even if my illness hadn’t been a factor. Nice way you capture the feel of the places you visit.